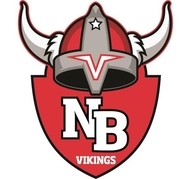 THE NORTH BRANCH HIGH SCHOOL ALUMNI ASSOCIATION IS PROUD TO ANNOUNCE THAT IT WILL BE AWARDING 14 SCHOLARSHIPS TOTALING $9,500.00 TO THE GRADUATING CLASS OF 2019. One of the main purposes of the North Branch High School Alumni Association is to award scholarships to our graduates. These scholarships are in the amount of $500, and we have awarded over 120 scholarships since our beginning in 1992. Funding for these scholarships comes from the gifts of Alumni Association members. Some come from general gifts and others are specifically awarded by individual alumni. Listings of the recipients and the donors are posted in our annual newsletter. Graduating seniors apply for these awards through the general application at North Branch High School. Announcements of the recipients takes place in the spring of the year, and the actual award is made with the submission of confirmation of attendance after the first semester of higher education. There is one special scholarship, not awarded to a graduating student, but to a former graduate who would like to go back to school, furthering their study or entering a new field. This is the LaVerne Magnison Conner Scholarship for Continuing Education. To apply for this scholarship, send a letter of request to the Alumni Association at PO Box 613, North Branch, MN, 55056, or to nbalumni@yahoo.com. If you are a former scholarship winner, we would like to hear from you, where you are and what you are doing. Please contact us with an update for our newsletter.